Studies show that penning your positive experiences can actually improve your health. So why not put this simple science to good use? Your first kiss, your college graduation day, that time you went skydiving over the Pacific Ocean. Not only will jotting down these triumphs and epic adventures help you to feel better physically, you'll also get a jolt of excitement just thinking about them. It may seem daunting. All those unfinished tasks staring you back in the face might even stir up a wave of anxiety. 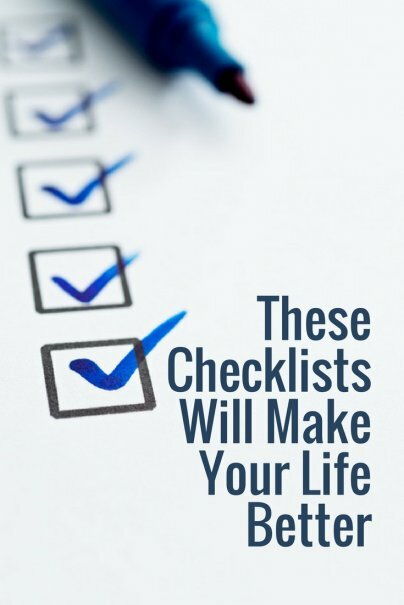 But studies have found that the simple act of crossing off an item on a checklist is enough to trigger a deep sense of accomplishment and satisfaction — no matter how big or small the task at hand. So don't be afraid to load up your to-do list! Tackle it knowing that you'll feel more and more fulfilled as you work your way down. The study tips and tricks you picked up in the classroom can benefit you in the real world, too. In fact, there are many occasions other than the night before a big exam that you will want or need to memorize new information. Remember the set of statistics you had to spout out at that recent board meeting? Or the oceanic science you needed to learn to earn your scuba diver certification? As it turns out, one of the best ways to absorb a new information set such as these is to physically jot it down using paper and pen. Scientists have discovered that our ability to recall facts and ideas at a later date is heightened when we write them down the old-fashioned way. Add to this another bit of science. By organizing the information you want to learn in list form, prioritizing that list, and then sticking to it, you define what it will mean to be, "finished studying," thereby improving your odds of achieving knowledge retention success. All too often we approach the task of learning something new without taking the time to delineate exactly what or how much or how long we ought study in order to consider the task complete. By working your way through a list of study material, you'll stay organized and keep yourself feeling motivated as your check your way down the list. A study of Michigan hospitals found that using a checklist can virtually eliminate common infections in intensive care units. As it turns out, the principle behind these findings stand true outside the operating room, too. Checklists can be used to reduce errors and improve safety in any situation where you're attempting to execute a multi-step procedure correctly. Whether you're setting out to bake a cake or change a flat car tire, a checklist can help ensure that you cover every step. After all, that brand new tire won't do you much good if you forget to tighten up the lug nuts. Everyone feels stressed out from time to time. Next time the feeling strikes you, make a list of everything that is occupying your mind or distracting you. After you quantify your stressors, take a moment to identify which items can be delegated to others and which items must actually be completed by you, and then assign each item a due date. You'll likely find that many of the tasks weighing you down don't need to be done immediately, and some of them can even be delegated to others. This realization can help ease your stress and make you feel more optimistic about conquering all of your to-do's. Be sure to create a new list for those items that must be completed in the future, planning to make sure that each one will be wrapped up in time. Popular to the point of cliche, the bucket list — a list of things one wants to do before he or she kicks the bucket — is often overlooked. Alas, it is a powerful thing. The trick, of course, is to prevent your list from becoming a thing of fantasy by actually committing to crossing off a great many of the items on the list. Exciting memories, relationship-bonding activities, and self-improvement activities are the stuff of most bucket lists, and all of these things can make life feel more fulfilling. Ultimately, a bucket list — a thoughtful one that you actually set out to complete — can make for a life well-lived. Any other checklists that would make life better? Share with us!